Alfred Hitchcock was a British film director and producer, best known for his suspense thrillers 'Psycho' and 'The Birds'. Net Worth: According to Celebrity Net Worth, when Alfred Hitchcock died in 1980, he had a net worth of 10 million USD. Childhood: Alfred Hitchcock was born to William and Emma Jane Hitchcock in Leytonstone, Essex, in England. 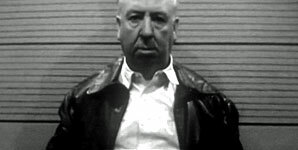 At the age of five, Hitchcock was sent to the police station by his father with a note asking for him to be locked in a cell for five minutes for misbehaving. He studied at St Ignatius' College in Stamford Hill, London, but left at the age of 15, shortly after his father died. 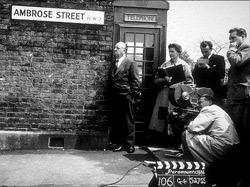 He then attended London County Council School of Engineering and Navigation in Poplar, London, before working for an advertising company. He was rejected for service during World War One due to obesity, yet in 1917 he joined the Royal Engineers. He began submitting short stories to 'The Henry Telegraph' in 1919, becoming one of the paper's most prolific writers. He continued writing for the paper, but also got a job at a London branch of Paramount Pictures. Through 1923 to 1925, Hitchcock served as screenwriter, art director and assistant director. Career: In 1925, Hitchcock made his directorial debut with the movie 'The Pleasure Garden'. The film failed to succeed, yet his thriller 'The Lodger: A Story of the London Fog', released two years later, was a huge critical success. In 1929, Hitchcock's tenth movie 'Blackmail', was converted into a 'talkie' during production, thus becoming one of the first British movies with sound. In 1935, he released 'The 39 Steps', a film often considered to be his best work. The film took him from being a critically acclaimed British film director, to being a huge US movie draw. In 1940, Hitchcock made his American film debut with 'Rebecca'. The film went on to win the 1940 Academy Award for Best Picture; Hitchcock was nominated for Best Director, however he did not win. 1943 saw the release of Hitchcock's favourite movie, 'Shadow of a Doubt'. 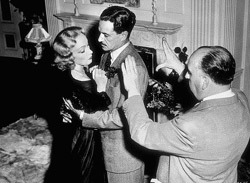 In 1950, Hitchcock returned to the UK to make 'Stage Fright'. He returned to Paramount Pictures in 1954, for the filming of 'Rear Window'. The following year, he became an American citizen and in 1956, he remade his own 1934 film 'The Man Who Knew Too Much'. 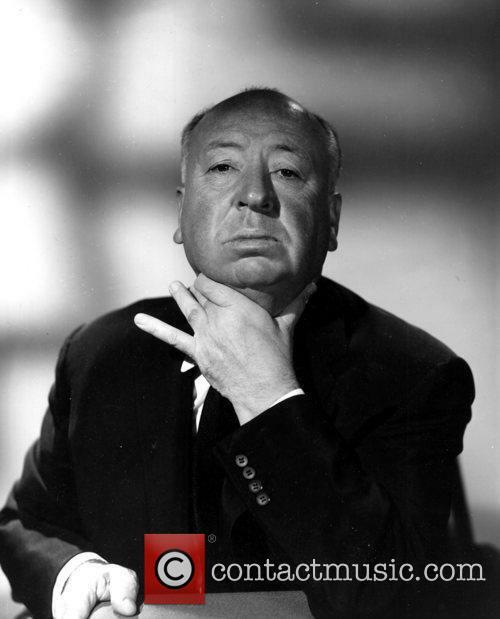 In 1958, Alfred Hitchcock released 'Vertigo', which has since been lorded as one of his finest works. However, Hitchcock's next three works were considered even better. 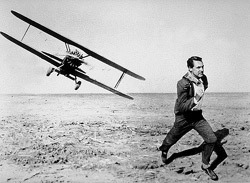 1959 saw the release of 'North by Northwest', the first film to use such a large amount of kinetic typography in its opening credits. 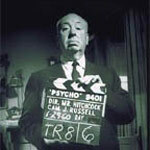 The next year, Hitchcock released 'Psycho', his best loved and best-known film. This was followed by 'The Birds' in 1963; Hitchcock's 49th film. Due to steadily failing health, Hitchcock was unable to keep up the same prolific schedule he had maintained until then. He released his final film in 1976, titled 'Family Plot'. Personal Life: On 2nd December, 1926, Alfred Hitchcock married his assistant director, Alma Reville. The couple continued to work together as collaborators throughout their careers until 1950. The couple were married until 1980, when Hitchcock died. Alfred Hitchcock passed away at the age of 80 from renal failure. He died at 9:17 am on 29th April 1980, in his home in Bel Air, Los Angeles. 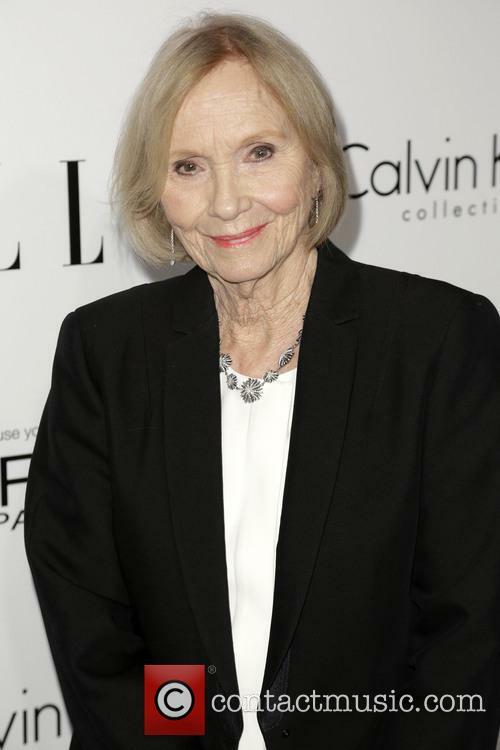 Eva Marie Saint, the actress best known for her roles in 'North by Northwest' and 'On the Waterfront' has discussed her life and career on an upcoming interview for TCM. Eva Marie Saint's upcoming appearance on TCM on Monday night (31st March) promises to restore our faith in Hollywood. The actress, who will celebrate her 90th birthday in July, has sat down with presenter Robert Osborne in a TCM special which will include an interview about her life and career and three of her best known films. Eva Saint Marie discussed her former colleagues in the TCM interview. On the Waterfront, for which Saint received an Academy Award for Best Supporting Actress and starred opposite Marlon Brandon, will kick off the night's festivities at 9pm. Another two of her films, Raintree County (in which she played opposite Montgomery Cliff and Elizabeth Taylor) and North by Northwest (also starring Cary Grant and directed by Alfred Hitchcock) will conclude the evening of celebration. 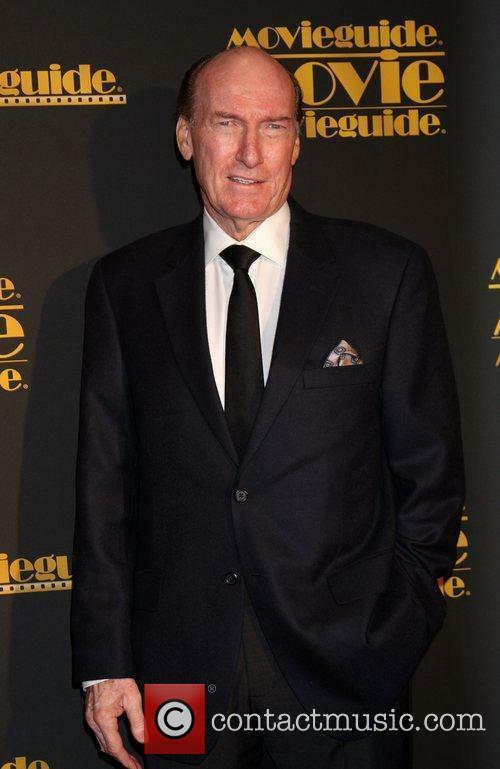 The sad news that Ed Lauter had passed away hit the mainstream media on Wednesday (October 16, 2013), as his characteristic and unique roles started flooding into the zeitgeist. During a career that spanned five decades, Lauter would fill the shoes of many characters. It would be fair to describe Lauter’s time on the screen – both silver and small – as varied. He was a journeyman of the industry, applying the same attitude and refined skill to a hardened thug and dutiful butler alike. Continue reading: Which Role Will Ed Lauter Be Remembered For? Cannes is usually associated with glitz and glamour; a sunning spot for some of the world's most powerful people and the biggest stars in Hollywood. Things became much more 'Hollywood' on Sunday (28 July) however, when the lobby of the exclusive Carlton Hotel became scene to a violent raid by an armed robber - the latest robbery (and the largest so far) to take place in this exclusive part of Southern France in 2013 alone. In the same place that Alfred Hitchcock filmed his 1955 crime drama To Catch A Thief - about a skilled jewel thief working in the French resort - the latest attack has raised some questions about the security of the city, causing some to ponder whether it is fit to host such a prestigious awards gathering as the Cannes Film Festival. A report by the Cannes Police Department, reprinted by the BBC, states that an unknown man made off with over $50 million-worth of jeweller Leviev's most precious stones from the hotel lobby. The jewels were being held in a briefcase, which was swiped by the armed thief, but it is unknown who exactly owned the briefcase that was being held in the exclusive Croisette-based hotel. Providing the valuation given by police is true, this would make the heist the second biggest in France's history, behind the 2008 Paris heist that saw close to €85m-worth ($113m, £73m) of jewellery stolen from a Harry Winston exhibition in the French capital. A Cannes police spokesman told local press; "A full and urgent operation is under way to catch the culprit and recover these jewels. Thieves see Cannes as rich pickings." Esteemed movie critic and broadcaster Barry Norman has unveiled his Top 49 movies of all time for a Radio Times supplement. The list, which does not rank films in order, includes works from 75 years of British cinema, ranging from Alfred Hitchcock's The 39 Steps to Sam Mendes' recent Bond movie Skyfall. Norman harks back to yesteryear for most of his selections, with Gladiator, The King's Speech and Skyfall are the only films from the 21st century to make it onto the list. 1949 and 1995 have numerous selections, including Kind Hearts and Coronets, The Third Man and Whisky Galore! And Secrets & Lies, Sense of Sensibility and Trainspotting. Introducing his list, Norman wrote, "Ignoring for the moment the fact that you will certainly disagree with some, probably many, or maybe even all of my choices, which do you think is the one outstanding British film that I've left out? There are plenty to choose from because mine, like all such lists, is largely subjective." Notable exclusions from the list include This Is England, Wallace & Grommit, Withnail and I, and Billy Elliot. Reaction to the list has been fairly positive, though one user joked on Twitter, "How Barry Norman can compile a '50 best British films ever' list before he's seen Danny Dyer's 'Run for your wife' is beyond me." Regardless of being dead for over thirty years, Alfred Hitchcock is still one of Hollywood's biggest names and with a host of biopics set to be released about the late director's life on both the silver and the small screen, then it is more than likely that his fame will only increase in the coming months. Helen Mirren, who stars as Hitchcock's wife Alma Reville in the upcoming biopic Hitchcock, has spoken of her brief encounter with the Hollywood legend, and it sounds as though the meeting could have gone a little better. One of the stars of the new movie, which follows the making of Hitchcock's most controversial film Psycho, Mirren detailed her experience in a recent interview with The Huffington Post. According to the Oscar-winner, who detailed her experience of auditioning for Hitchcock's film Frenzy in the early 1970s in the interview, revealed, "I don't think he would have auditioned me; I think he either thought you looked right or you didn't." It was always going to be a tough order to pull off an homage to the great Alfred Hitchcock, but Sacha Gervasi has largely gained kudos from the reviewers for having a going at it, though his biopic Hitchcock has by no means found unanimous approval from the grizzled hacks of the critical world. 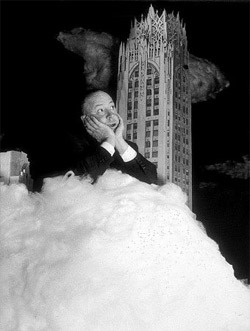 However, as to the film itself – which is far more of an interpretation than a factual account of the film director’s life – it found a mixed response, with Variety frustrated by its deviation: “Hitchcock offers almost zero insight into the peculiar workings of creative genius, or into the rich, taboo-shattering legacy of the film whose making it documents” it wrote. That said, if we’re to believe the New York Observer it’s “one of the best movies of 2012”, suggesting that the jury still remains somewhat out on this one. HBO’s The Girl tells the tale of Alfred Hitchcock’s relationship with the screen star Tippi Hedren - played by Sienna Miller. The story itself seems to be the real winner here; the TV movie explores the theory that Hitchcock (played by Toby Jones) “behaved like a psychotic lout” towards Tippi Hedren during the two films that they made together (The Birds and Marnie). When Hedren spurns Hitchcock’s sexual advances, he uses his directorial power to torture her. When filming The Birds, he insists that she films take after take of the scenes in which she is attacked by birds. 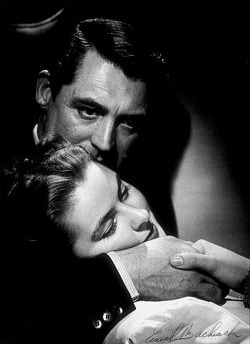 He does his best to break her spirit but ultimately, she remains strong and ultimately retains the upper hand. New York Daily News have praised the feature, saying that Miller and Jones’ performances “keep the story alive and moving,” though Jones’ Hitchcock has but one dimension: “an arrogant egomaniac who was unpleasant to everyone around him.” Imelda Staunton is landed with the role of his unenviable wife, portrayed here as an “enabler” of his torrid behavior. The power of this disturbing story, according to chron.com is so fierce that you will be left feeling like you need to take a shower afterwards. According to their report though, Toby Jones’ performance is caricatured and lacking in authenticity. ‘Hitchcock’ To Contend For This Year’s Oscars? Alfred Hitchcock biopic ‘Hitchcock’ is set to be in line for an Oscar this year as Fox Searchlight reveals the 2012 release date. Fox Searchlight Pictures are known for producing and distributing independent, mainly British films many of which have been successful Oscar winners or nominees including ‘Slumdog Millionaire’, ‘Black Swan’, ‘The Full Monty’, ‘Little Miss Sunshine’ and ‘Juno’. ‘Hitchcock’ could be set to be their latest jewel as the previously expected 2013 release date has been moved to November 23rd 2012 making it a serious contender for an Academy Award this year. Unlike the actual Alfred Hitchcock movies, which were largely suspense-driven thrillers, the film is comedy drama based on the making of Alfred Hitchcock’s hit 1960 blockbuster ‘Psycho’ and the relationship the director had with his wife Alma Reville. 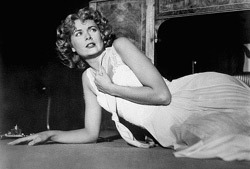 It focuses on the major controversy surrounding the film’s sexual and violent content and Hitchcock’s battle with financing and censorship. It has been adapted by screenwriter John McLaughlin (‘Black Swan’) from Stephen Rebello’s biography ‘Alfred Hitchcock and the Making of Psycho’ with Sacha Gervasi (‘Anvil: The Story of Anvil’) in his feature film directorial debut. If this wasn’t enough to make a big impression at The Oscars, then the flick’s all-star cast is bound to be a winner. With Academy Award sensations Anthony Hopkins and Helen Mirren playing Hitchcock and Alma, Scarlett Johansson and Jessica Biel playing ‘Psycho’ stars Janet Leigh and Vera Miles, the spectacular mix of both American and British actors is sure to appeal to most culturally singular film lovers. Hitchcock aimed to do for avians in The Birds what he did for showers in Psycho, and by and large he succeeded. The Birds is roughly hewn by comparison to Hitch's more deftly plotted films -- it's much closer to a monster movie than a psychological thriller, moreso than any of his other films. Tippi Hedren makes her screen debut here, and it's a bit of a cold and tricky one, though not a terrible performance. She flubs her lines consistently, though -- including one in her very first scene. The Birds is most notable though for turning something completely harmless into an incredible menace -- all with absolutely no explanation. That's where the terror really comes from in The Birds. Along with The Birds and Psycho, Rope was one of the very first Hitchcock films I saw as a kid -- a dusty old videotape sitting on a shelf with an odd title scrawled on its edge. I loved it then and still have a fond memory for the film, which led me to explore nearly 50 pictures from the Master of Suspense. Rope is a complex and dazzlingly unique picture. Subversively based on the Leopold and Loeb murder case, it presents us with two boys (Dall and Granger) who have been taught by their old headmaster (Stewart) in the Nietzchian philosophies of the Superman and the unimportance of the lives of simpler people. Dall masterminds a plot and Granger follows as his half-willing pull-toy; together they strangle a mutual friend, dump his body in a chest, and throw a party for his father -- serving a buffet from his makeshift casket.